Our father, and friend to many… Johnnie Dale Hayes, died on September 7, 2018. Johnnie was born in Whitewright, TX on September 4, 1935. He was a plumber for over 60 years, until the day he suddenly passed away. Over the years he taught many his trade and advocated being a hard worker. 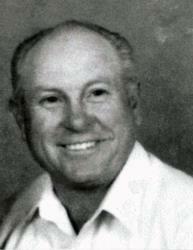 Dad loved country living, hunting, fishing, playing cards and dancing to western music. He was loyal to his friends and was ready to help anyone in need. His life was never the same after he lost his love and “angel”, Laura. He was proud to be a veteran, having served as an Army Combat Engineer. He is survived by his two daughters – Lee Anne and Cindy; eight grandchildren; and two great-grandchildren. Cremation has taken place and a Memorial Celebration Service will be held in Winston, NM at the Cowboy Church on Sunday, September 30, 2018 at 10:00 A.M.
To Johnnie's family......we extend our deepest sympathy. I just met him Sept l when he sat with us at a fund raiser to purchase a new DAV transportation van to take veterans to their Dr appts - he stayed with us for several hours and was nice to meet him (I'm Bonnye Warwick- secretary of our local Auxiliary) . We are so sorry for your loss!!!! !